Amelanchier x grandiflora ‘Ballerina’ is a pretty, small deciduous tree. It is ideal for small gardens and delivers interest all through the growing season. This starts in the spring when masses of large white flower emerge. The bronze-tinged leaves turn orange-purple-brown in autumn. The small red berries turn purple in autumn, which the birds love! 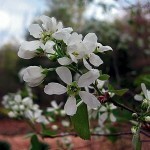 Amelanchier x grandiflora ‘Ballerina’ can be planted in full sun or partial shade. 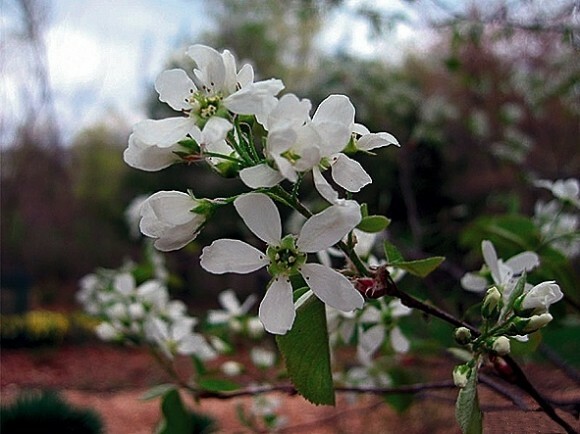 This tree can be planted in a sheltered or exposed area, and will grow on a moist, well-drained soil. It has an eventual height and spread of 4-8m.